The University Park Community Council (UPCC) is a Registered Neighborhood of the City of Denver. To learn more about our organization, visit our About the UPCC page. 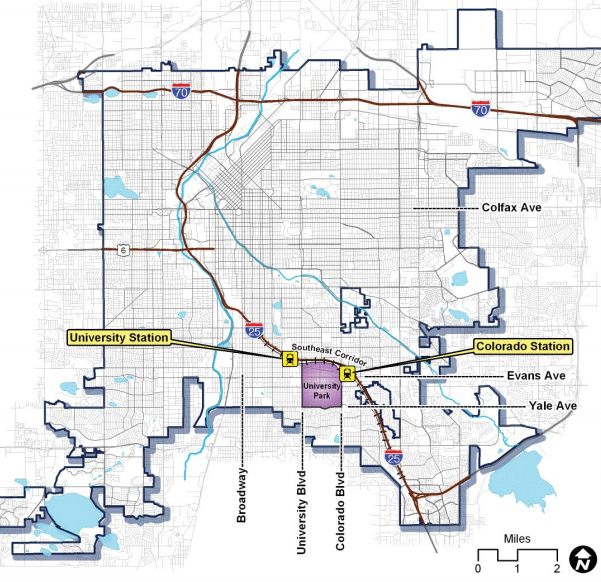 The geographical area the UPCC represents boundaries are I25 to the North, University Boulevard to the west, Yale Boulevard to the south and Colorado Boulevard to the east. The University Park neighborhood has a rich history. Visit our University Park history page to learn more about this great neighborhood. The UPCC Board is an all volunteer board and is comprised of an executive board and committee chair persons. If you are interested in getting more involved, take a look at our volunteer page to see ways you can get involved.